When you're in an accident, make the right choice by depending on our personal injury attorneys for aggressive representation. At Williams & Thorson, LLP, we ease your pain, worry, and confusion by helping you receive the compensation you deserve. Don't suffer in silence. Depend on our personal injury attorney in Garland, TX, to answer your questions and be your advocate throughout the legal process. Experience means everything when you're a personal injury attorney. 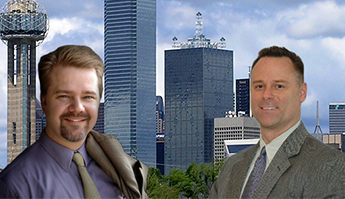 Our lawyers have provided exceptional legal services for more than two decades. They have experience in fighting even large corporations and insurance companies for their clients. In fact, their successful track record speaks for itself. Whether mediation or litigation is required, you can rest assured that you'll receive the fervent legal defense and attention you deserve. Skill is an essential for an attorney, but compassion is also a critical attribute. Our personal injury attorneys understand that an accident not only affects you, but also your family. That is why we fight hard to restore your life to normal. Whether the case involves injury or the death of a loved one, we will do our best to put a dollar amount on the value of your pain and suffering, as well as the loss of function and quality of life. Even though no amount of money can turn back the clock, we work hard to ease your pain and acquire compensation for medical costs, loss of wages, and other damages. Most importantly, we never charge a fee unless you win. Contact us to schedule a free initial consultation with one of our experienced attorneys. We proudly serve clients throughout Garland, Mesquite, Rockwall, Richardson, and Balch Springs, as well as the DFW Metroplex.